Steven Evans has been a Berkeley faculty member since 1989. He is currently a Professor of Statistics and Mathematics as well as core faculty in the Computational Biology PhD program. He graduated with a Bachelor of Science (Hons I & University Medal) degree from the University of Sydney and a Doctor of Philosophy degree from the University of Cambridge. Steven worked for the Commonwealth Banking Corporation of Australia and held a post-doctoral position at the University of Virginia prior to do coming to Berkeley. He is the recipient of the Rollo Davidson Prize, a Presidential Young Investigator Award, an Alfred P. Sloan Foundation Fellowship, and the G. de B. Robinson Prize of the Canadian Mathematical Society. Steven has been a Dobson Fellow and Miller Research Professor at Berkeley, a Visiting Fellow at the Australian National University, a Medallion Lecturer for the Institute of Mathematical Statistics, an Astor Visiting Lecturer at the University of Oxford, a Birnbaum Lecturer at the University of Washington, and an invited speaker at the International Congress of Mathematicians. He is a Fellow of the Institute of Mathematical Statistics and the American Mathematical Society. 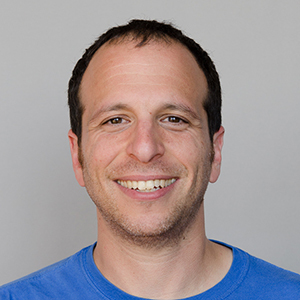 Benjamin Recht is an Assistant Professor in the Department of Electrical Engineering and Computer Sciences and the Department of Statistics at the University of California, Berkeley. Ben was previously an Assistant Professor in the Department of Computer Sciences at the University of Wisconsin-Madison. Ben received his B.S. in Mathematics from the University of Chicago, and received a M.S. and PhD from the MIT Media Laboratory. After completing his doctoral work, he was a postdoctoral fellow in the Center for the Mathematics of Information at Caltech. Ben’s research focuses on scalable computational tools for large-scale data analysis, statistical signal processing, and machine learning. He explores the intersections of convex optimization, mathematical statistics, and randomized algorithms. He is particularly interested in simplifying the analysis and manipulation of noisy and incomplete data by exploiting domain-specific knowledge and prior information about structure. Ben is the recipient of the Presidential Early Career Award for Scientists and Engineers, the SIAM/MOS Lagrange Prize in Continuous Optimization, the Alfred P. Sloan Research Fellowship, and the NSF Career Award. He is currently on the Editorial Boards of Mathematical Programming and the Journal for Machine Learning Research.